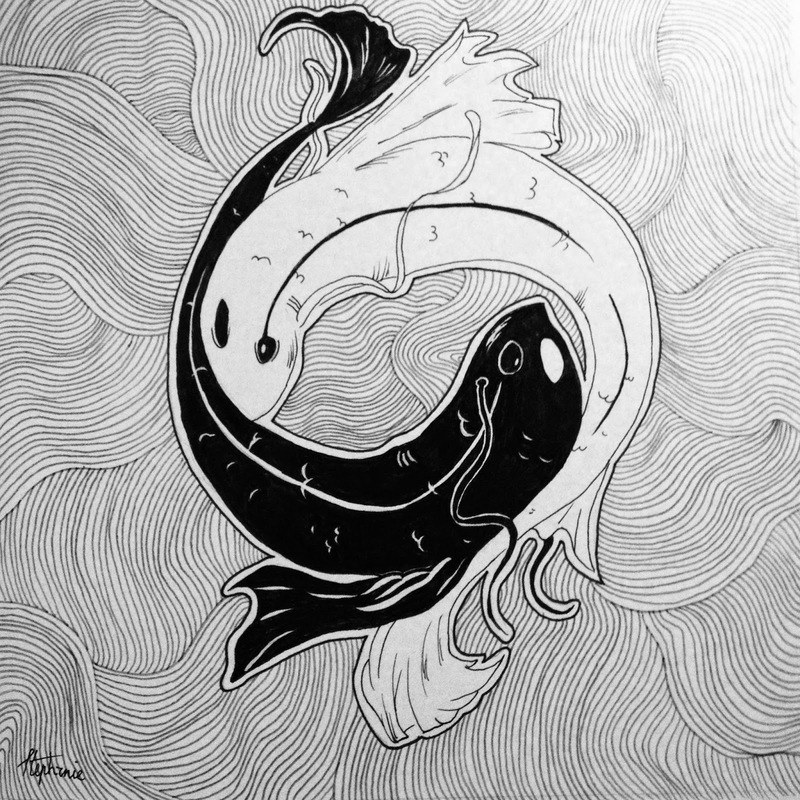 Everything Is Art: Yin-Yang Fish- Completed! I'm actually really pleased with myself for finishing this in two days and not dragging it out till forever... I think it's a beautiful drawing and I'm really pleased with how it turned out. The lines are clean; everything is nicely inked; no smudges and all that. Now I'm just left with framing it. this is SO cool, so well done. The precision, and the print-like quality of your fish Nice!